MAUD ADAMS will always be associated with the role of Peter Pan though she was not the first actress to actually play the part (Nina Boucicault has that distinction from the original London production). Ms. Adams did however play the part 237 times on Broadway (and thereupon entered the Peter Pan collar into the fashion vernacular). The actress was also responsible for the camouflage style costume and the headgear with the jaunty feather (the original Peter Pan in London was bareheaded). 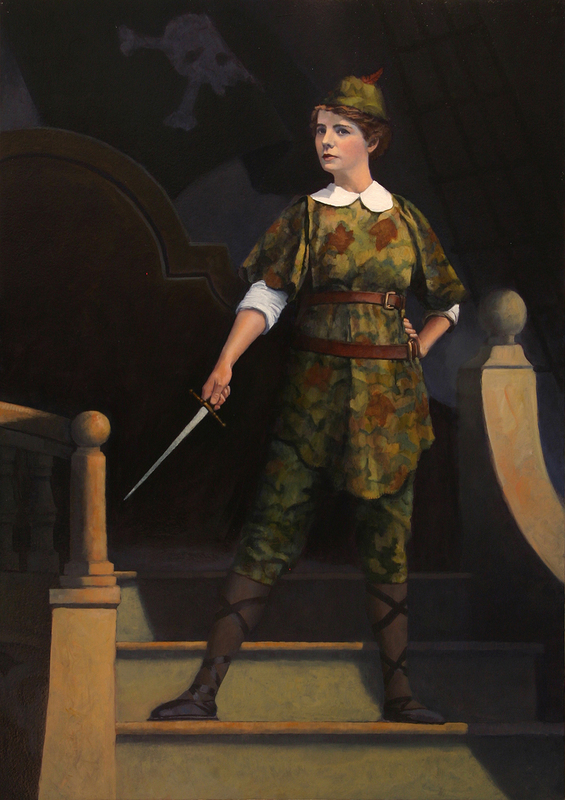 THE ORIGINAL ARTWORK OF PETER PAN, THE AVENGER! IS AVAILABLE FOR PURCHASE.